How might Brexit affect migrants living in NI? Jump to media player Dungannon students explore how Brexit might affect migrants living in Northern Ireland. Dungannon: How might Brexit affect migrants living in NI? 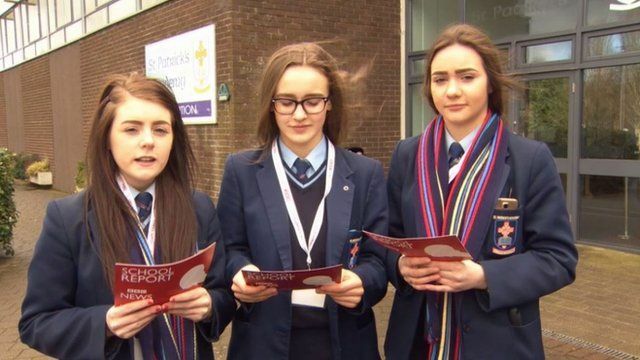 School Reporters from St Patrick's Academy in Dungannon have been considering the possible impact of Brexit on people who have moved to Northern Ireland from other parts of Europe. This was produced for BBC News School Report.